Daily Cash Siphon is an affiliate marketing system which gives you access to a “new weird trick” that can siphon money from a $480 million glitch earning you up to $395 each day. This affiliate marketing system is simple, and you don’t need any previous experience or technical skills to make this work. Everything is done-for-you. All you have to do is download the daily cash siphon software, install, and with 19 clicks, you’ll have a blog site ready to promote and make money online. With Daily Cash Siphon affiliate marketing software, it only takes 7 minutes to launch an online business, and 30 minutes of work per day to generate $395. This is too good to be true. This is the story of 7 minutes and 19 clicks, affiliate marketing system, Daily Cash Siphon. Who Is The Founder Of The Daily Cash Siphon? What Is The Cost To Join Daily Cash Siphon? Is Daily Cash Siphon A Good Investment? The Daily Cash Siphon software is a new affiliate marketing system that is being sold through Clickbank, and it guarantees to allow you siphoning cash out of a $480 million “glitch”. The software exploits an Affiliate Marketing loophole by showing you how to find products which are “controversial and weird” but have an explosive profit potential making you bucket loads of cash. Daily Cash Siphon makes money using affiliate marketing and blogging. The spoke person explains that there are thousands of blog sites online, so it is hard to make money if you are a newbie. However, with the daily cash siphon system, you will be able to make money within a week. You don’t need any technical experience, prior knowledge and no need to develop any products. And of course, you only need 30 minutes of work per day. Those are the two conditions, and they are not difficult so many people have the chance to purchase this system. Making money with blogging and affiliate marketing is a legitimate business model, but it takes a year or more to make decent money. Thanks to Daily Cash Siphon system, you can allegedly get your blog/website set up in 30 minutes, and with their “secret” traffic strategies you can have hundreds of visitors to your blog in less than a week. No one knows who is the real founder/owner of Daily Cash Siphon? There are two spokespersons known as William Fairbrother and Kate Shallard, but neither is the real owner of Daily Cash Siphon. It seems that the creator of this product doesn’t want to reveal his real name. This is a red flag. Why would someone hide he/she names if the product they offer is a legit product? The only people that hide their name is scammers. We will never know who owns the daily cash siphon. The daily Cash Siphon main product is the affiliate marketing software that contains pre-designed website and some basic training lessons that teaches you about affiliate marketing and blogging. After downloading the daily cash siphon software, you will be able to select a niche from a list and choose a pre-designed website to launch your online business with only 19 clicks. The program also has some basic affiliate marketing video lessons where they share with you the strategies for making money with a blog. Daily Cash Siphon uses Clickbank Affiliate Network to make money with the blog. The software system will help you find high profitable products from Clickbank Marketplace, then link them to the blog for you to promote online. Your job is to post and advertise the website on social media to find people who want to buy the product to earn a commission. I have over 20 years of online affiliate marketing experience, click here for my profile, and I can tell you that the daily cash siphon pre-designed website will not work. Your pre-made website is a duplicate. 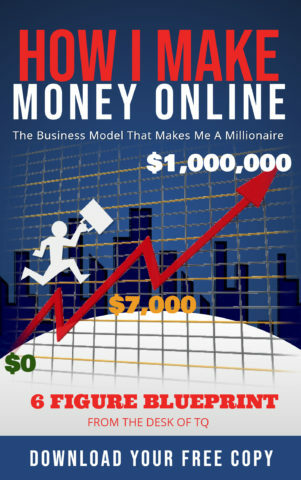 Everyone who buys into this program will probably get the same website with a lot of copies and pasted content. Search engines will only rank the original website, not the duplicated one. If your website does not get rank, no one will find your blog site. So how are you going to get traffic? You have one option which is advertising your site on social media, Google, or Bing Ads, which can cost you a lot of cash. Yes, using the daily cash siphon software you will be able to set up a blog site in 30 minutes, but it’s worthless because it is a “copy and paste” type of deal. Daily Cash Siphon is a Clickbank product. If you have experience with Clickbank, you know there will be upselling. The initial cost to join the daily cash siphon is one low price of $37 plus 3 upsells. The first up-sell is a better pre-designed affiliate website/blog which supposed to accelerate your process of making more money. The cost of this upsell is $197. This upsell offers you the ability to choose a website/blog outside of the preset list, which is the ‘make money online niche.’ They claim with this fully hosted affiliate website in a different niche, you can make up to $395 per day. This upsell costs you another $187. The final upsell includes basic and advanced traffic lesson to teach you the process of generating traffic to your website fast. The lessons are loaded with the basic online advertisement techniques that most likely the creator of Daily Cash Siphon has never used because they do not work. The traffic upsell is $97. The total price for the daily cash siphon is $518. This does not include the cost of online advertisements to promote and generate traffic to your website/blog. If you decide to purchase the daily cash siphon because you believe that a $480 million ‘glitch’ exist online, then this product is for you, click here to download. The rest of the world knows this glitch is just a marketing scheme to get you into the door, then siphons all the money from your pocket. This product is designed to make money for the owner and the people who promote it. I have 20 years of affiliate marketing experiences, here is my profile, and I don’t even want to promote this product. Why would I recommend it to you? I know this program does not work. If you invest in this opportunity, you are just wasting your time and money. The truth is affiliate marketing is a lucrative online business opportunity, but it requires hard works and serious commitment from the owner to turn a website into a profitable business. Any affiliate system that’s done-for-you, or you only work a few minutes a day, is not a good affiliate marketing business system. It is a marketing hype to get your money. I am not calling the daily cash siphon a scam, because technically you get something in return for your payment, a software and basic lessons. Also, Clickbank products have a 30 days money back guarantee so you can test out the program, maybe you like it. I have provided you with the information on the Daily Cash Siphon. You decide for yourself if this is a good invent. However, the daily cash siphon touch on an online business opportunity that I recommend to everyone is blogging and affiliate marketing. I make my living writing and posting online for the past 20 plus years. I believe that I know a thing or two about blogging and affiliate marketing. 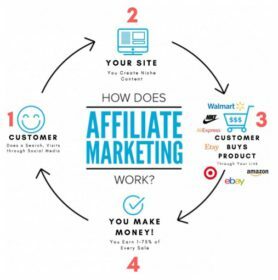 If you want to learn affiliate marketing, I recommend you read this article about ‘the 4 steps to affiliate marketing’ to get a basic understanding of this online business. For those already know the basic process of making money online, then I recommend you register with a FREE affiliate marketing training program to test things out. Click here for free training. A smart business decision: the reason that I recommend you register with a free training program first because from my experiences I know that affiliate marketing or blogging is not for everyone. You need to test this out first before investing money and time in this business. You want to find the right online business for you, and I want the same for you. Affiliate marketing business is the only business that allows you to test first before investing. Take this opportunity, begin your new career as a free member, don’t waste your money. The free training program that I have been recommended to all my readers is the Wealthy Affiliate. #1 – This program is free. There is no payment information required and no expiration date on your free membership. You can stay as long as you want to finish your basic training. Click here to train for free. #2 – You have all the tools, free websites and free keyword research, to practice what you have learned. Click here to check out the tools. #3 – You have access to me and I can help you along the way. This is my free offer. Click here for my profile.